Hey all, let me introduce you to my good, good friend, Vinh. I’ve known Vinh for a dozen years and have trusted my haircuts to him from the beginning. Nobody does a “3-2-1” cut as well as he does! 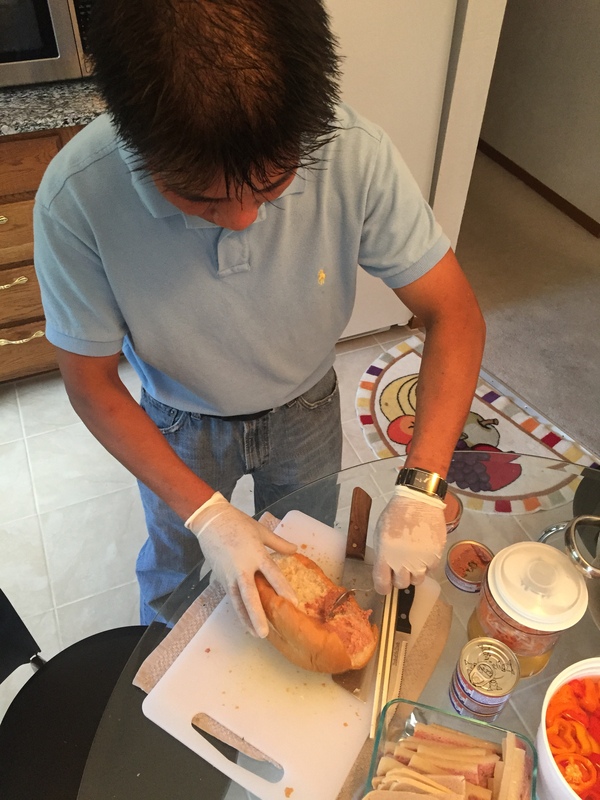 And no one prepares a Bánh mì sandwich as well as he does. 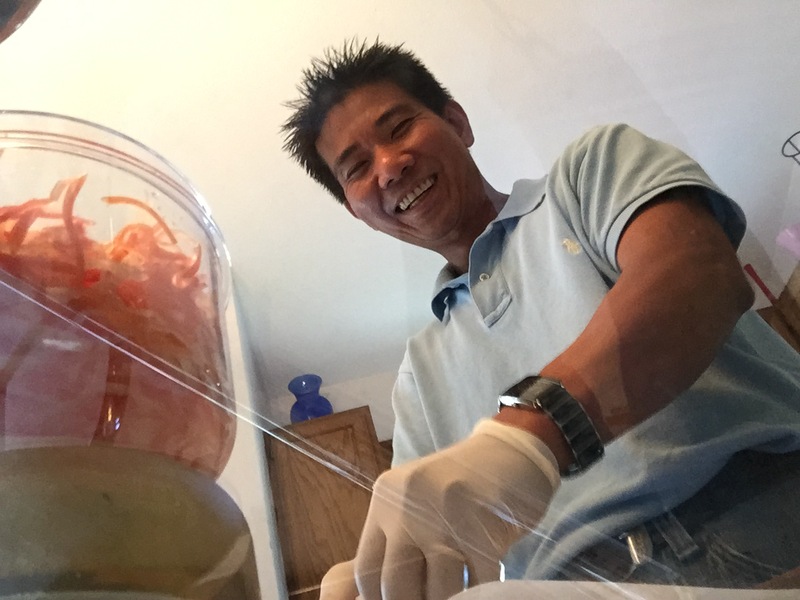 In early August 2015 I spent the better part of a sunny morning at the home of Vinh and his wife Kim watching the Bánh mì Master at work. While Kim was away, the boys did play, and Vinh and his young son, Kevin (who is, quite possibly the most polite and confident 5th grader I’ve ever met) were kind enough to let me watch the kitchen magic. Bánh mì is a Vietnamese term for all kinds of bread. 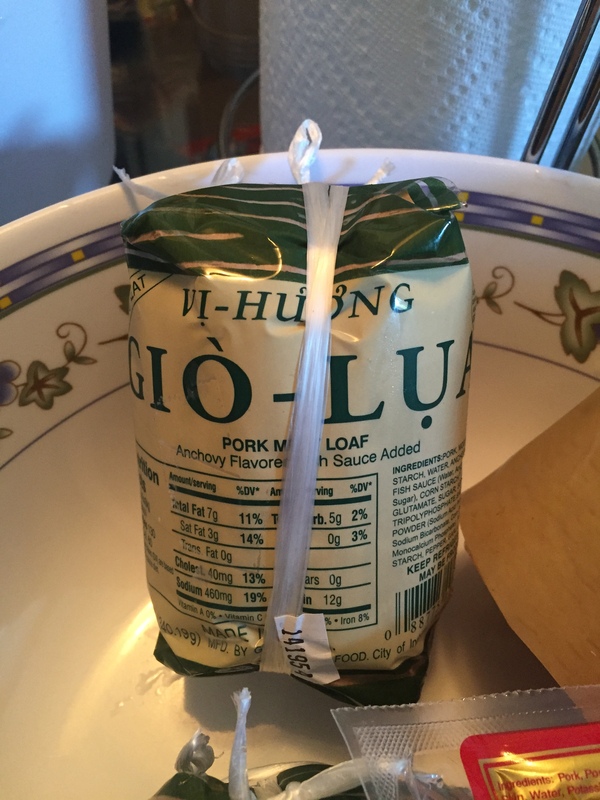 The word is derived from bánh and mì (wheat, also spelt mì in northern Vietnam). Bread, or more specifically the baguette, was introduced by the French during its colonial period. 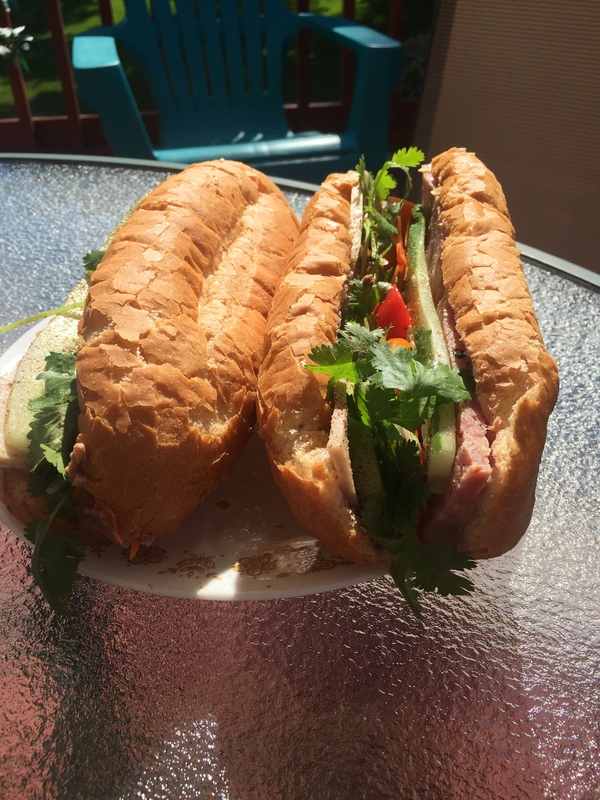 The bread most commonly found in Vietnam is a single-serving baguette; therefore the term bánh mì is synonymous with this type of bread. 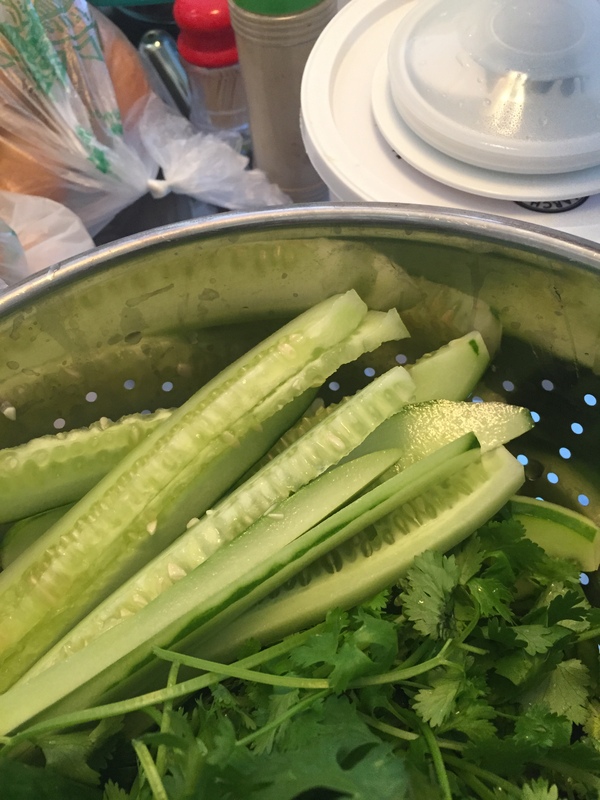 The bánh mì is usually more airy than its Western counterpart, with a thinner crust. 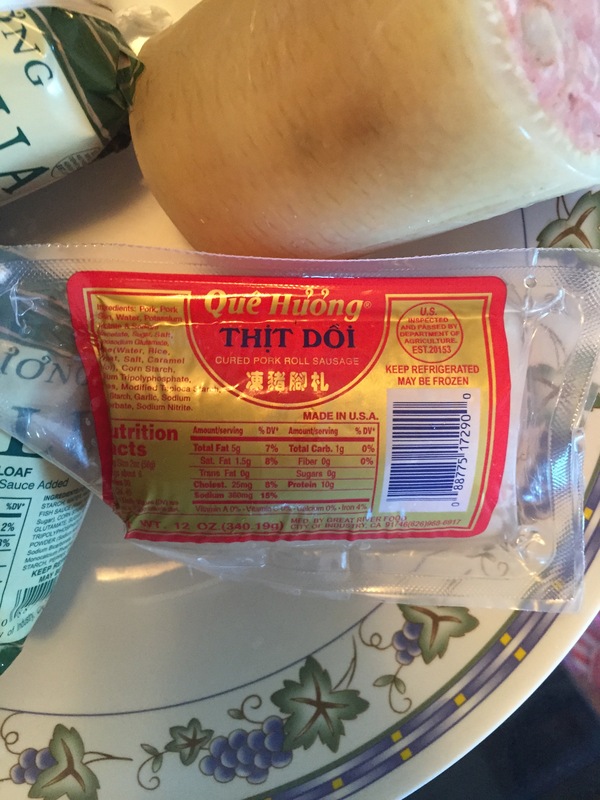 It is sometimes known as a “Vietnamese sandwich” (or, in Louisiana as a “Vietnamese po’ boy” or in Philadelphia as a “Vietnamese hoagie), for which the Bánh mì serves as the bread wrapper. Combine vinegar, sugar, salt, pepper, and ½ cup water in a medium bowl. Add radishes and carrots and let stand at least 10 minutes. 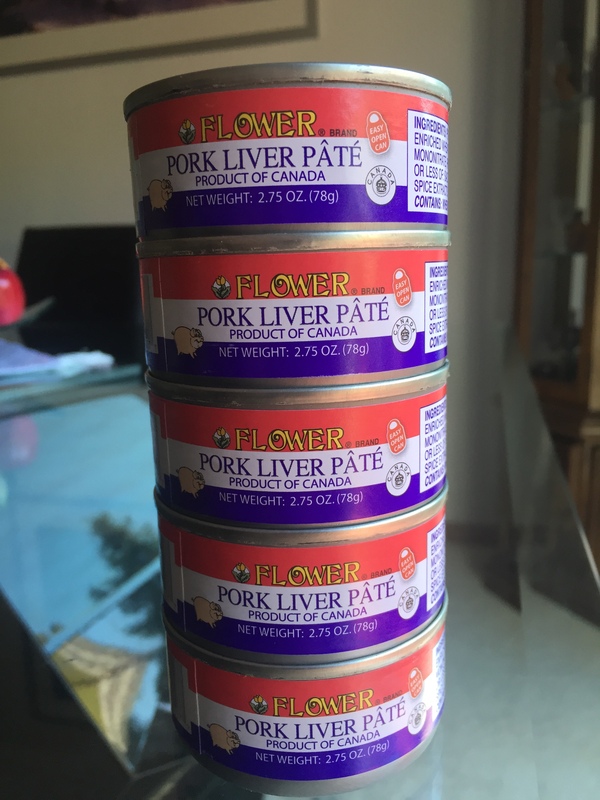 Spread 1 side of each baguette with 1 Tablespoon of the mayonnaise, and spread the other side of each baguette with pâté or liverwurst, dividing evenly. Pile pork on bottom halves of baguette, and top with jalapeño, radishes and carrots, and cilantro. Close sandwiches.